Very comfortable apartment. Like the interior design. The property is very clean, modern and in a great location. The service was very good and adequate. The apartment was very quiet, warm and cosy. The beds were very comfortable. Anything that was lacking (like a cooking knife) we asked and were given by the staff. Coffee and tea were a nice touch as well. Our kids could freely run around the apartment and play. Only minus was the staircase leading to a lovely rooftop terrace. We filled the base with pillows from the storage room so our one year old couldnt climb it. We didn't really ask for children's equipment. I am not sure if they offer any but it is possible they do. Outstanding location as close to center city. Quiet with easy access to restaurants and sites. Mass transit readily available. Floor plan provides privacy. INCREDIBLE VIEWS from living room and deck. The space was very clean and the hosts were responsive to our requests/ questions. The apartment was modern and spacious. The beds were comfortable and in general, the apartment was cozy. Amazing apartment in a great area. Would highly recommend. Really enjoyed our stay here! 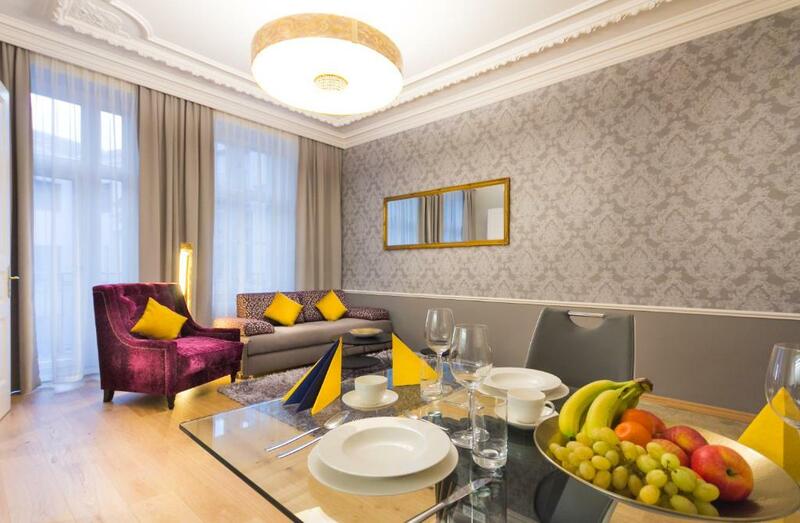 Lock in a great price for Abieshomes Serviced Apartments - Votivpark – rated 9.3 by recent guests! 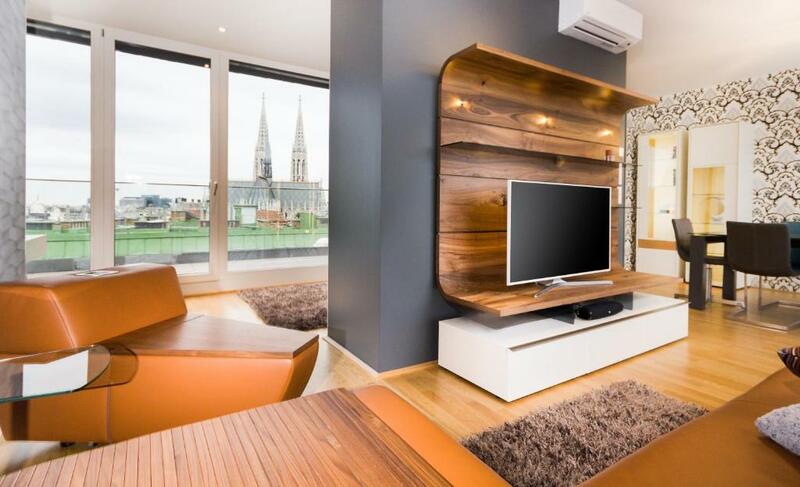 One of our top picks in Vienna.The stylish Abieshomes Serviced Apartments - Votivpark enjoy a central location behind the impressive Votivkirche church in the immediate vicinity of the Vienna University and just a 5-minute walk from the Schottentor metro (U2 line) and tram hub. Garage parking is available on site. Some apartments are located in the attic and have 2 floors. 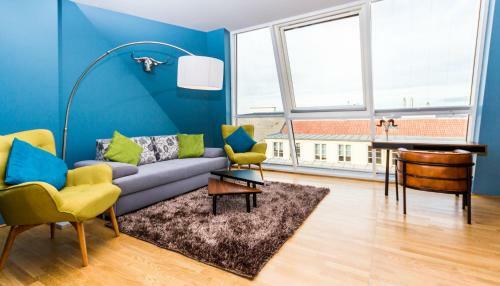 Attic apartments offer panoramic views over Vienna and of numerous sights from their rooftop terraces. Each apartment comes with box-spring beds, air-conditioning, big flat-screen TVs, a JBL sound system and a Nespresso coffee machine. You can find numerous bars, cafés and restaurants in the area as well as the quiet green Altes AKH university campus. 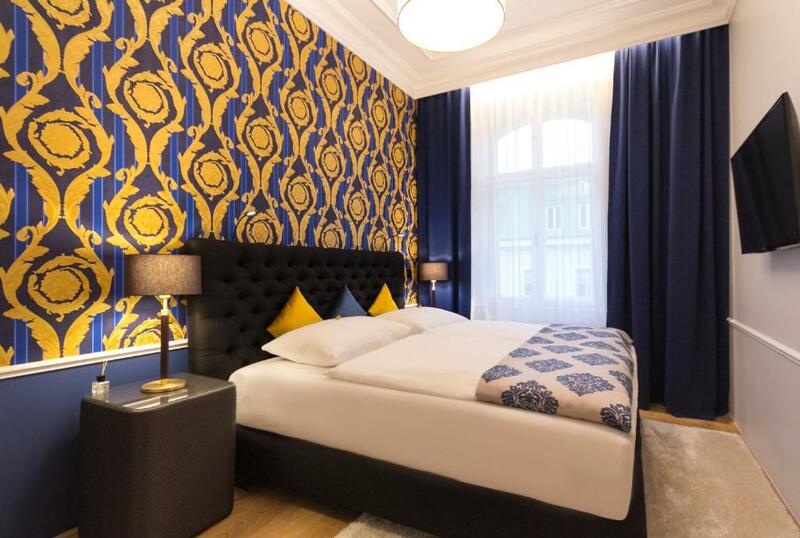 The famous Burgtheater, the City Hall and the elegant shopping streets Graben, Kohlmarkt and Goldenes Quartier are reachable on foot in 10 to 15 minutes. 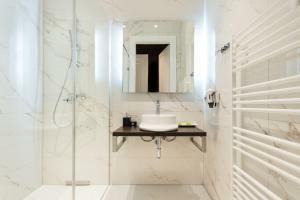 When would you like to stay at Abieshomes Serviced Apartments - Votivpark? Please note that each apartment is individually decorated and the photos are just examples. This apartment features a balcony, private entrance and sofa. This apartment has a satellite TV, dishwasher and air conditioning. Abieshomes Serviced Apartments Votivpark are extraordinary accommodations in Vienna. 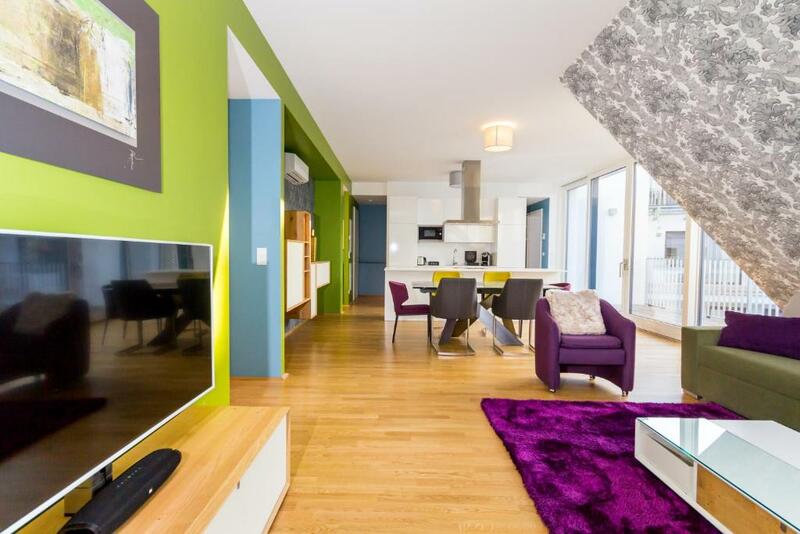 We offer spacious rooms in duplex units, an stylish interior design in the most worth living area of Vienna. 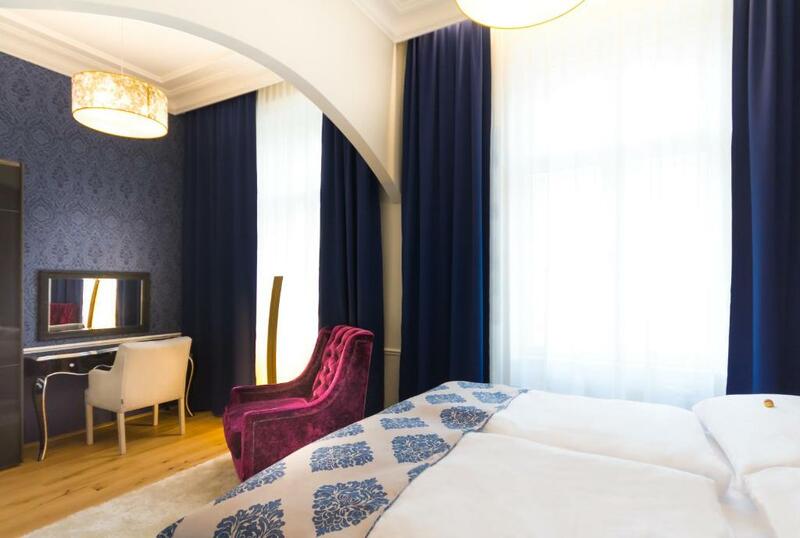 Everything is perfectly prepared for your stay with us, no matter if you visit the city, alone or with your family, or stay for a business trip or even for a special occasion you want to celebrate - we offer the right ambience! Luxury kingsize boxspringbeds, huge terraces with an overwhelming view, free higspeed wifi, TV-flattscreens in every room, a Nespresso machine, a JBL soundsystem - all these are reasons to feel perfectly comfortable. We would appreciate to welcome you as our guests here in Vienna at the Abieshomes Serviced Apartments. "Details do matter" - that's why the whole Abieshomes-Team is absolutely willing to make your stay with us unforgettable and simply perfect. For direct requests you can contact me directly - i would appreciate to satisfy your wishes. The 9th district of Vienna is the most worth living district! In a 4 minute walk you are directly in the center at the Schottentor, but still the apartments at the rooftops are absolutely quite and peaceful. Directly in front of the building are 2 green parks, a lot of restaurants and bars that are perfectly designed for breakfast, brunch, lunch and dinner. The Hofburg, the city council, the Volksgarten and even the Donaukanal are reachable in couple of minutes by walk. House Rules Abieshomes Serviced Apartments - Votivpark takes special requests – add in the next step! Debit card Abieshomes Serviced Apartments - Votivpark accepts these cards and reserves the right to temporarily hold an amount prior to arrival. Abieshomes Serviced Apartments - Votivpark accepts these cards and reserves the right to temporarily hold an amount prior to arrival. Please inform Abieshomes Serviced Apartments - Votivpark of your expected arrival time in advance. You can use the Special Requests box when booking, or contact the property directly using the contact details in your confirmation. Company rep switched our booking from penthouse to two adjoining apartments on floor below on the day. We arrived to find another group being given access to the apartment we had booked! The apartment we were given was supposedly bigger but had no balcony/external access. We were offered €150 compensation to use on future bookings but unlikely to use same company again. Apartment fine but didn't match booking. A small point - a sweeping brush might be useful (maybe I failed to find it). Local bars were disappointing. Beautiful apartment with every domestic convenience. I could happily live there! Friendly and attentive staff on-site. First-class public transport options. Only 1 toilet in a 3 bed flat ! Master bedroom left side bed has missing bed slat, so mattress sinks down. No instructions on how to control temperature in flat. Great views. Contemporary decor. Clean, convenient, spacious, good value for money. Check in simple and fast. Instructions clear. Garage. Huge rooms. WARM rooms (on a cold weather). Free Nesspresso. Design, cleanliness. WiFi. Two TVs, radio in bathroom.... I could go on forever. Simple and fast check-out. Glad I could spend some time there. 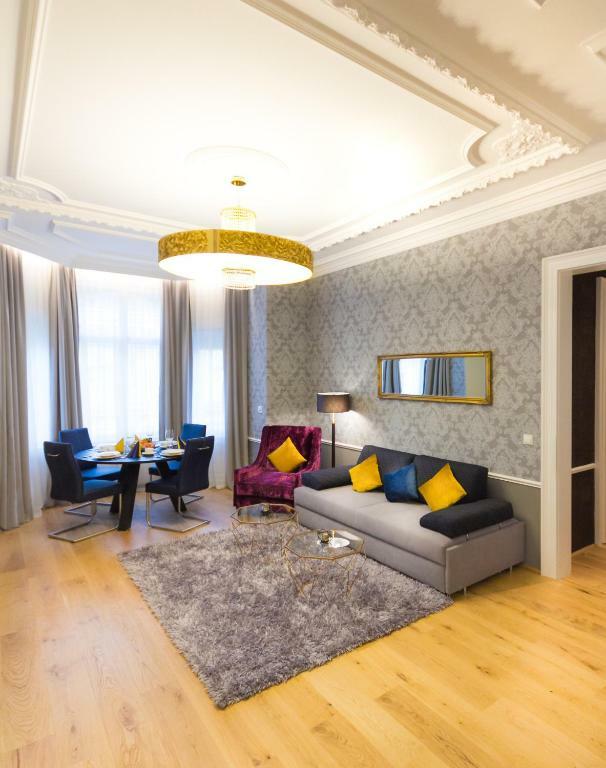 Stunning Apartment, spacious and as luxurious as promised and the perfect location for visiting the city. Views were great from the rooftop terrace as well. It's a pity there is just one bathroom for two bedrooms. One toilet in apartment for 8 a little insufficient. The apartment was very clean and quiet with plenty of light, the beds were extremely comfortable. The location was close to all amenities and attractions! Very spacious and modern apartment. Very comfy beds, extra large shower and tv had Netflix. Loved the tea/coffee available too. Excellent location. First class facilities. Only 1 toilet for 3 bedrooms!!! !